“If you take missions out of the Bible, there is little left but the covers.” This statement from Nina Gunter captures a central theme in Scripture, the theme of the Church moving out into the world in response to the missio Dei, the “mission of God.” Indeed, all that we do cross-culturally in the name of “missions” arises out of our understanding of God’s “mission.” God’s mission refers to God’s plan through Christ to save all of creation but especially the peoples of the world that are creation’s crowning achievement. Because of the missio Dei, the Church moves out in missions. We do missions in a variety of ways, from preaching to teaching, compassionate ministry among the poor and oppressed and medical work with the sick and dying. But whatever form missions takes, we will not be able to sustain the work over the long-term if we lose sight of the reason why we send missionaries. Theologians from various Christian traditions have emphasized different aspects of God’s mission. In this lesson, we will look at three biblical themes that apply to a Wesleyan view of mission: God as loving and holy, prevenient grace, and the need for humans to respond to God’s salvation offer. By looking at these themes, we will be reminded of the rationale for the sacrifices we make as a church. In times of discouragement and economic hardship, we will be encouraged to keep giving of our prayers, time and resources. 1. 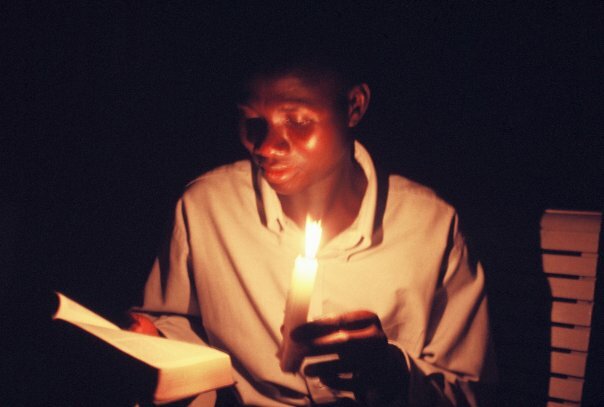 We send missionaries because we worship a loving, holy God – In their book, Discovering Missions (Beacon Hill Press, 2007), Charles Gailey and Howard Culbertson observe that “global missions finds its meaning in the very nature and character of God” (p. 21). And what is God like? The Old and New Testaments speak with one voice that God is both loving and holy. God is filled with love, tender compassion toward all creation. Because of this great love, the Father sent Jesus into the world to die as the ultimate demonstration of divine love (John 3:16, Romans 5:8). It has been said that “God had only one son, and he made him a missionary.” Christ had to “cross cultures,” to leave heaven and become incarnate in our sin-sick world. To a world that had rebelled against heaven, Jesus showed a cross-shaped path of reconciliation, a way back to a loving God. But God is not only love; God is also holy, morally pure and incorruptible. God loves us too much to leave us in our sin, so we are called to be like God, to be holy (Lev. 19:2, 1 Peter 1:16). This is not something that we can do on our own, but the Holy Spirit fills us, cleaning us up inside and out (Acts 15:8-9, Eph. 5:18). It is important to keep a balance in all that we do. Some in our day have emphasized God’s love to the exclusion of holiness. Yet if we only speak of God’s love, some may interpret that love as permissiveness, as if God is a doting grandfather ready to excuse our behavior, no matter how over-the-top. On the other hand, if we emphasize God’s holiness, never speaking of love, God may seem a humorless tyrant, a legalistic divine being whose mission is to stamp out joy wherever it is found. Yet it because we acknowledge what the Bible teaches about God’s character, that God is both loving and holy, that our missionary message can be simultaneously concerned and winsome. To be loving and holy is to be like Christ. The mission statement of the Church of the Nazarene affirms our task of “Making Christlike Disciples in the Nations.” Because of God’s love and holiness, we must penetrate every nook and cranny of our globe, boldly announcing the Good News of a God big-hearted enough to forgive us and powerful enough to make us brand new. 2. We send missionaries because we believe in prevenient grace. Besides an emphasis upon God’s love and holiness, Wesleyans also believe in prevenient (or preceding) grace. Since each of us is sinful (Romans 3:23), left to our own devices would be unable to save ourselves (Eph. 2:8). Thankfully, God does not leave us to our own devices! Even before we put our faith in God for salvation, the Lord is drawing us. Prevenient grace is the soft but persistent Christ light that shines in our darkness (John 1:9). Because of Jesus’ death on the cross (John 12:32), we believe that God the Holy Spirit is already doing preliminary work in the hearts of men, women and children around our globe, pointing them to Jesus who is the only way to the Father (John 14:6). It is prevenient grace that explains why even those who have yet to hear the Good News of salvation through Christ sometimes do admirable things (Romans 2:12-15). These positive character traits – including the human conscience – are expressions of God’s grace, evidence that the Holy Spirit is up to something in our lives even prior to our conversion. The story of Cornelius and Peter in Acts 10 is the clearest biblical example of what prevenient grace means. Cornelius was a Roman centurion who lived with his family in Caesarea. Luke tells us that they were “devout and God-fearing,” that they “gave generously to those in need” and that they “prayed to God regularly” (10:1-2). A spiritual principle proven across the centuries is that when we follow all the light we have, God will give us more light. This was certainly the case for Cornelius! God gave Cornelius a vision, telling him to send for a man named Peter (v. 5). The rest of the chapter recounts Peter’s struggle with the Lord to overcome his prejudice toward non-Jews, but how in the end he obeyed God’s call and went to preach to Cornelius and his family. By the end of Acts 10, the centurion and all of his household believed and passed through the waters of baptism. There are lessons in this story about why we participate in missions. First, as Wesleyans, we believe that God the Holy Spirit is already working around our world. Often the metaphor of seed planting and harvest is used when talking about evangelism. Prevenient grace refers to the Holy Spirit who is turning over the “soil” in people’s hearts. Many Muslims who come to Christ report having dreamed of Jesus who came telling them he was the Way, the Truth, and the Life. Are they not like Cornelius, following all the light they have and thereby receiving more light from God? And so we support the missionary enterprise because we know that God the Holy Spirit has gone before us. Yet prevenient grace is insufficient. God was not content to leave Cornelius with the dim light of prevenient grace. In the person of Peter, the Lord sent the full light of the Gospel. To return to the idea of soil, the Holy Spirit breaks up the soil, but we must plant the seed if we expect to reap a harvest. Paul insists that hearing comes by preaching, so preachers must be sent (Romans 10:14-15). John Wesley (1703-91) taught that all human beings are recipients of prevenient grace. If some appear not to respond it is not that they are without grace, only that – like the wicked servant in the parable of the talents (Matthew 25:25) – they have buried it in the ground. Prevenient grace, though important, always points beyond itself to saving grace. The Holy Spirit wants to draw each of us to Christ, and those who stop resisting God’s grace are enabled to respond to the Gospel message. This enablement knows no geographical boundaries. It is universal, since Jesus died for all humanity and not just for some (1 Tim. 4:10). 3. We send missionaries because all must have a chance to respond to God’s salvation offer. This is one aspect of mission that differentiates Wesleyans from our Calvinistic brothers and sisters. John Calvin (1509-64) taught that God had “predestined” (chosen beforehand) those who would be saved, the “elect.” Jesus had not died for all, but his sacrificial death was only for the sake of the limited number who had been chosen for life according to God’s unknowable ways. 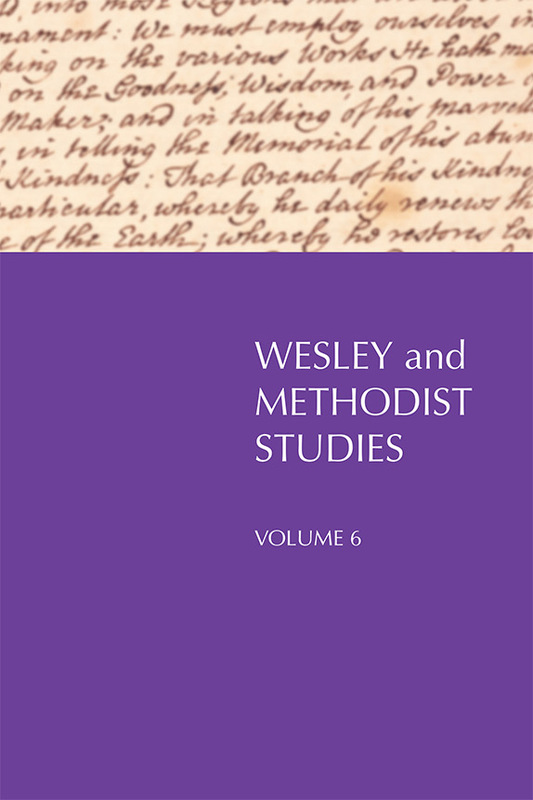 Among others, John Wesley rejected Calvin’s scheme, teaching that Jesus’ death was universal. God does not irresistibly save the elect or anyone for that matter; rather, the possibility of salvation is open to all. If all are not saved, this hardly proves Calvin’s point. Instead, Wesley taught that while some use the grace God has given them, accepting divine enablement and moving on to salvation, others resist the Holy Spirit’s drawing, dousing the light of prevenient grace. The logic of Calvinism can discourage the sending of missionaries. The young English minister, William Carey (1761-1834,) now known as the father of modern missions, proposed to evangelize India. On the occasion where he made his proposal to a group of fellow-pastors, another interrupted him, chiding: “Young man, sit down. When God chooses to convert the heathen, He will do so without your help or ours” (Gailey and Culbertson, 47). One wishes to ask Carey’s antagonist on what basis he would preach to anyone, whether in far off places or nearby. Other than as blind obedience to a command from Christ, it is difficult to see what use preaching anywhere could have. In Calvin’s thinking, those chosen by God will be saved, and those passed over will be damned, whether we preach or hold our peace. Yet Wesleyan theology recognizes that salvation is conditional. God has done everything possible to bring about the reconciliation of rebellious humanity, including the sacrificial death of Christ on our behalf. Despite this, there is a condition. Using the grace given us, we must choose to accept the gift offered to us. In the temple courts, Peter addressed the crowd: “Repent, then, and turn to God, so that your sins may be wiped out, that times of refreshing might come from the Lord” (Acts 3:19). Likewise, the missionary is motivated to call people to respond to God’s overtures. Salvation is not automatic; the atonement provided by Christ is for everyone, but each of us must own it through a willingness to abandon our wrong actions, to have a “change of mind about sin” (repentance). This biblical understanding that salvation is conditioned upon our human response (enabled by God) is rarely spoken about but underlies many of our evangelistic strategies. In countless cities and villages across the globe, Nazarene teams have tirelessly shown the “Jesus” film to millions of viewers. Without exception, the event closes with an evangelistic appeal. Those who have seen Jesus teach about the Kingdom of God, heal the sick and raise the dead have an opportunity to respond to God’s call. Some stream forward at the end while many hold back. Like a mighty river, the moving of the Holy Spirit sweeps people along in its path, bringing them to the foot of the cross and a life-changing encounter with Jesus Christ. Yet others swim against the tide, stubbornly resisting the currents of grace. In the end, we are not responsible for the decisions individuals make, but we are responsible in our missionary efforts to give as many opportunities as possible for people to respond to the offer of salvation. We serve a powerful God! We send missionaries because by nature, God is both loving and holy. God’s love longs to forgive us of our rebellion and restore us to relationship, while God’s holiness cannot leave us mired in our sin. God longs to rescue us, to make us like Jesus! We send missionaries because the rescue has already begun as the Holy Spirit draws people from all nations to God. Prevenient grace points beyond itself to God’s command for us to plant Gospel seed in the soil already broken up, to shine the full light of Christian preaching where the dim light of God-given conscience already flickers. And we send missionaries because God calls individuals everywhere to respond to the divine invitation. Salvation is possible, but it is not automatic. Ours is a call to preach repentance, to spread the Master’s spiritual feast before one and all with the winsome invitation: “Come and dine” (John 21:12). This is our message, and this is our joy. This essay by Dr. Crofford is part of a four part series of lessons developed by Greg and Amy Crofford for Nazarene Missions International. Excellent, Greg! Having spent the past 15 years in Calvinist realms, it is refreshing to hear missions articulated in this way. Praise God for His prevenient grace! 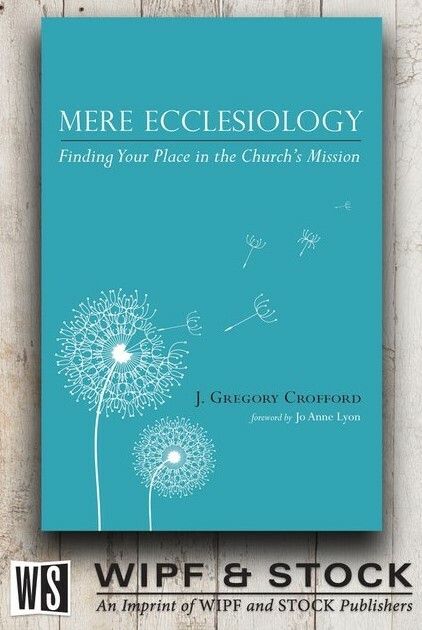 Regarding your last point, I’m happy that the particular churches we have attended haven’t had the view that God’s “irresistable grace” obviates the need for missions– in fact they have been extremely mission-focused. Their rationale is twofold, both centered on their own relationship with Christ: GRATITUDE (freely received/freely give) and OBEDIENCE (therefore go). I’ve heard it explained as “giving the Gospel test”– share the Gospel and love with everyone, and the elect will respond. Predictably, man’s responsibility doesn’t enter much into the equation. 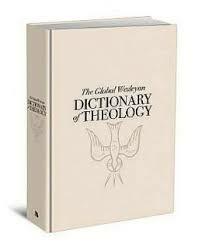 Here is one of those areas where I think one systematic theology is incapable of expressing the whole truth. We serve a spiritual, extra-temporal God, yet we ourselves have been given a physical, time-bound existence (as long as we occupy this world). Words like “predestined” have time built into them– I think that’s a forced fit by Calvin to describe what a timeless God looks like to a timebound human. However, Scripture itself is more balanced than any form of systematic theology– it unapologetically and matter-of-factly represents both perspectives without a hint that they might appear contradictory if one tries to stay rooted in just one perspective. There we have Paul saying that “Jacob I have loved and Esau I have hated” even before they were born, yet also saying that we are God’s ambassadors imploring all men to salvation. No attempt whatsoever is made in Scripture to reconcile those two things, so men of various systematic theologies dance and dodge to try to force both things into one perspective. Having said that, I think that systematic theology is necessary and helpful, and that men SHOULD wrestle with the truth and articulate them over and over. It’s another valid form of Bible study, perfectly complementing word studies, metaphorical studies, biographical studies, sequential studies, etc. In the end, it hopefully allows us to live more Christlike lives, give a reason for the hope we profess, and praise our great God. To whatever extent it creates division, it is probably either wrong, limited, or misunderstood! Thanks, Scott, for your insightful remarks. I’m glad you’ve caught the intent of prevenient grace, which really amounts to one aspect of the work of the Holy Spirit. Sometimes I think Calvinists live above their theology when it comes to missions and evangelism. As you’ve seen, I maintain that the Wesleyan system of thought is superior when applied to this question. I’m not sure that I can agree with your assertion that Scripture presents both perspectives. If it appears to do so, then I’d say we haven’t fully understood what God is trying to say. The fault lies with us, not with God. Antinomy and mystery are two categories too often invoked in theological discourse.